Branigan effectively criticizes the communication model of narration, a task long overdue in Anglo-American circles. The book brings out the extent to which mainstream mimetic theories have relied upon the elastic notion of an invisible, idealized observer, a convenient spook whom critics can summon up whenever they desire to "naturalize" style. The book also makes distinctions among types of subjectivity; after this, we will have much more precise ways of tracing the fluctuations among a character's vision, dreams, wishes, and so forth. 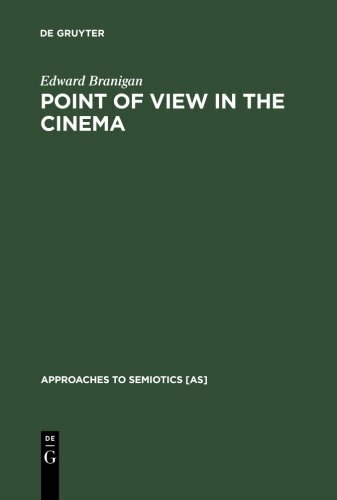 Branigan also explains the necessity of distinguishing levels of narration. Part Number: 40 black & white illustrations, 40 schw. MPN: 40 black & white illustrations, 40 schw. If you have any questions about this product by Edward Branigan, contact us by completing and submitting the form below. If you are looking for a specif part number, please include it with your message.